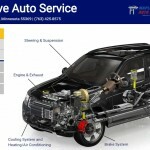 A set of detailed videos explaining your vehicle’s systems in a simple, no hassle way. 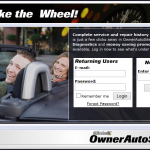 The Mitchell1 Auto Owner Site allows you to view your vehicle’s repair history. Like us on Facebook to learn more about our business including specials, news, photos and reviews! We appreciate your like! If you depend on your vehicle, it’s important to have parts and service you can depend on to keep it running right with NAPA-brand parts. AAA offers a variety of ways to satisfy all your travel needs, whether it involves getting to your destination, or where to stay when you get there. 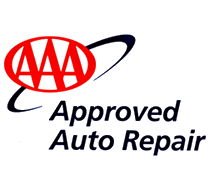 The Alliance of Automotive Service Providers, Minnesota (AASP-MN) is an association of over 700 independently-owned collision repair, automotive service, and industry supplier businesses dedicated to improving the state’s automotive service industry and the success of its members. Car Talk is a Peabody Award–winning radio talk show broadcast weekly on NPR stations and elsewhere. Its subjects were automobiles and automotive repair, discussed often in a humorous way. It was hosted by brothers Tom and Ray Magliozzi, known also as “Click and Clack, the Tappet Brothers”. CarSoup connects you to dealers and private sellers in your local area, gives you information on everything from new car pricing and finance options to used vehicle values and the latest automobile reviews and advice. North Suburban Towing is our preferred provider of towing service! Consumers’ CHECKBOOK is the independent, nonprofit consumer authority – rating the local service firms you use in your everyday life – providing information to save you money and time for the things that matter. Advancing professionalism and excellence in the automotive service industry. Our local chamber of commerce.